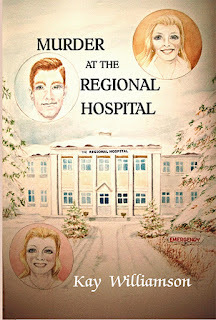 Kay Williamson has just published her tenth mystery: Murder at the Regional Hospital. 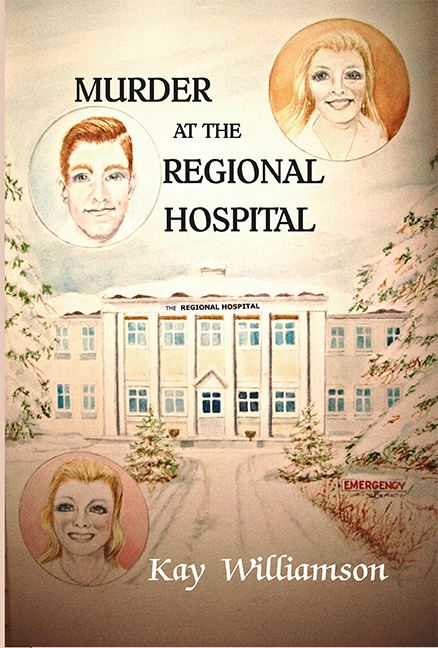 This mystery takes place two weeks before Christmas and ends on Christmas day. She believes the novel would make a nice Christmas present for any mystery fan. Kay, a former elementary school teacher and resident of Satellite Beach, Florida, is published in various literary anthologies and magazines. Her romantic suspense murder mystery novels include: Ghostly Whispers, Bridge to Nowhere, Listen to the Heart, Time After Time, Murder at the Starlight Pavilion, The Mysterious Woman on the Train, Incident at the Pink Beach House, Murder on Star Route One, and Murder in the Mountains. Kay, a playwright and published songwriter, plays keyboard as Don, her husband, leads sing-a-longs at nursing homes in the area. Also, watercolor artists, they are members of the Art and Antique Gallery and Studio in Eau Gallie, Florida. Her books will be for sale at the "authors for authors book fair" on Nov. 18 and 19.